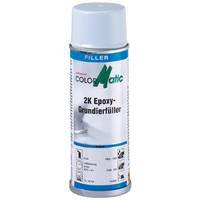 ColorMatic 2K epoxy primer filler is universally applicable to all metallic surfaces such as steel, galvanized steel and aluminium. 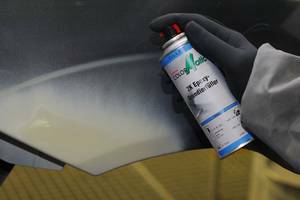 It has excellent adhesion and corrosion protection properties and adheres well to fibreglass plastics. Once dry, overcoat with polyester products (spatula). It is solvent-based with an epoxy-resin basis. Free of isocyanate. 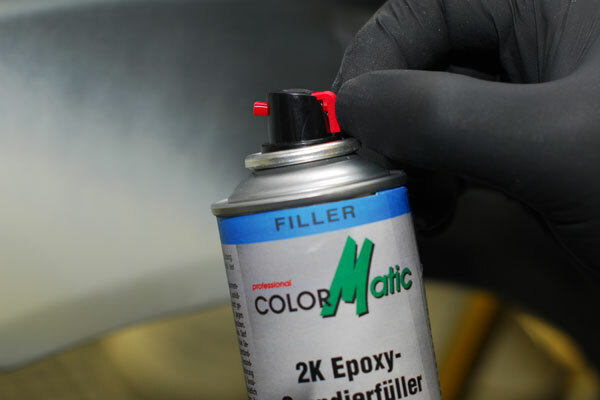 Remove the protection cap from the bottom of the can and pull the pin out fully with the help of the inserted ring. 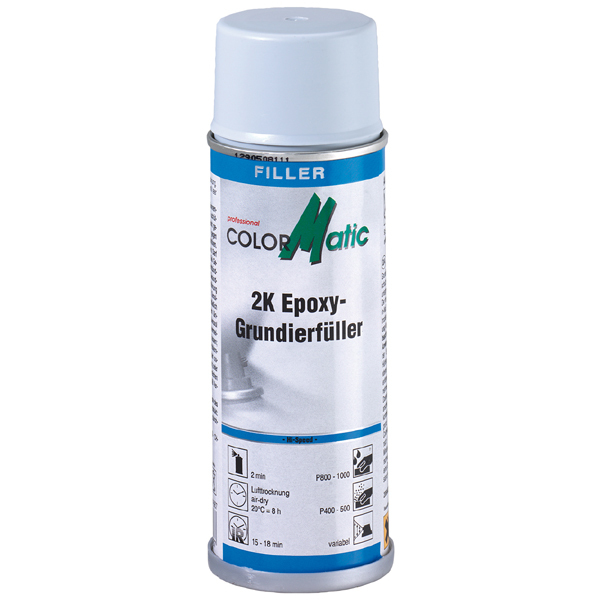 This will release the knife, which will penetrate the wall of the aluminium cartridge. The cartridge will then rotate 360 °, be completely open and release the hardener. Shake the can vigorously to mix the A components with the hardener in the proper, predetermined ratio. When stored at cool temperatures, the 2K Hi-Speed epoxy primer filler may also be used for several days following activation. Prior to use, heat to room temperature (approx. 20°).